From our standard heat pumps through to our dedicated Aquaculture range (Trident Aquaculture) we take a serious approach to selecting equipment for our clients and we support our local customers with care, service and attention and believe that Australian’s respect quality and value in what they buy. When we do business with our customers we try our very best to understand our clients’ needs, requirements and desired outcomes. We custom build our heat pumps and chillers to meet these needs, as well as work within the projects’ specific environmental restrictions and conditions. When it comes to aquaculture heating or chilling, you can trust Toyesi has the ideal system to suit your application. 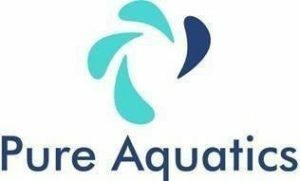 Boosting the Value and Sustainability of Australia’s Aquaculture & Aquaponics industry with Trident. We stand behind our product to have a lifetime serviceability life-cycle. I consent to Trident Aquaculture collecting my details through this form. is your aquaculture system specialist. ✓ Golf Greens, Turf, Orchards, etc. Value for Money and an environmental friendly solution. Our mission is to reduce land fill with equipment as close to 100% recyclable as possible.